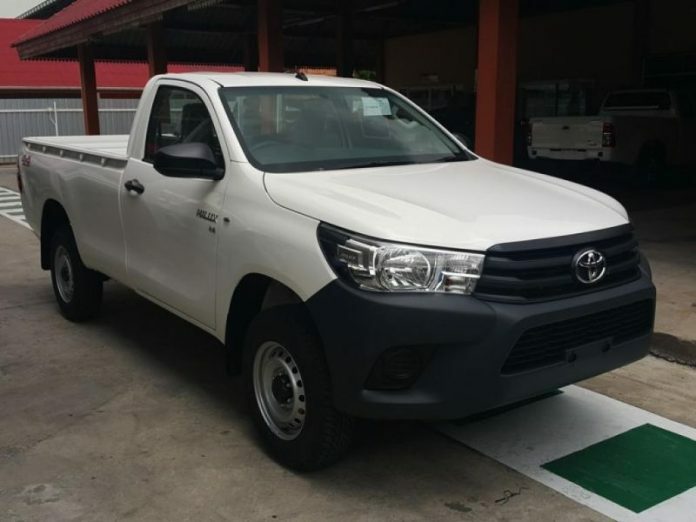 Toyota Kenya Car Loans: Toyota Kenya has countered a move by Isuzu East Africa that is seeing customers buy the Isuzu D-Max pick up at Sh. 2,500 daily repayments. 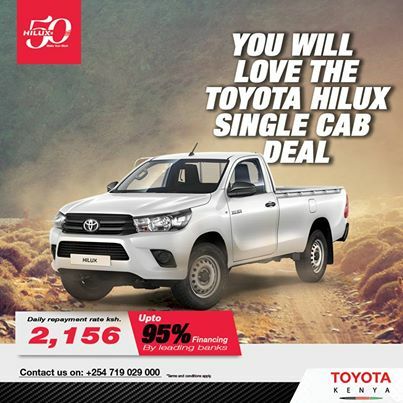 Toyota has now offered buyers the opportunity to get up to 95 per cent financing on the Hilux single cab pick up. This is then followed by daily repayments of Sh. 2,156 for a period of six years. 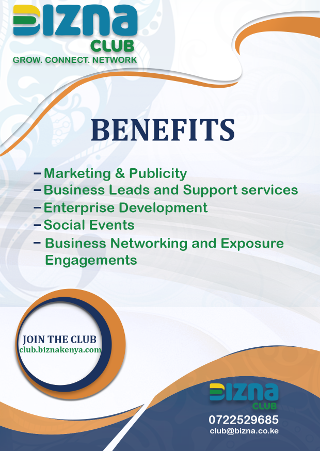 You may call Toyota Kenya on: 0719-029000 to get more information on the Toyota Kenya car loans. Over the recent few years, Toyota Kenya has been offering vehicle loans through its affiliate vehicle vendor Toyotsu Kenya. The vendor also imports and sells second hand vehicles while the primary brand deals with new vehicles. Nonetheless, Toyota has been offering these loans in conjunction with banks. When a customer applies for a car loan via a car dealer, his credit worthiness is evaluated before the loan is advanced. The loan package has come as an added advantage to car sellers bidding to grow their numbers in Kenya’s current tough economy.